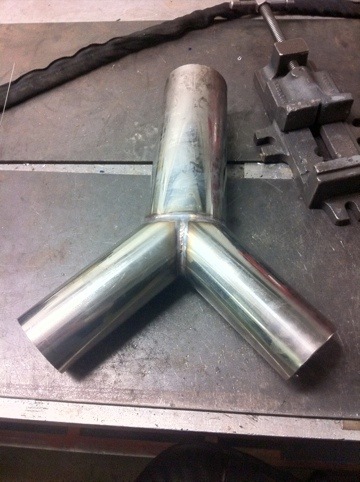 The exhaust build begins! 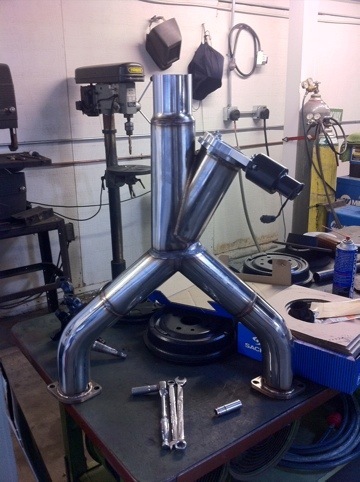 I started with vibrant stainless steel exhaust flanges, then made my own y-pipe to bring the dual 3″ pipes into one 3.5″ pipe. Since this is a street car I’m trying to keep it as quiet as possible but I want to be able to enjoy the V8 noises when I want and at the track so I added this QTP 3.5″ electronic cutout. 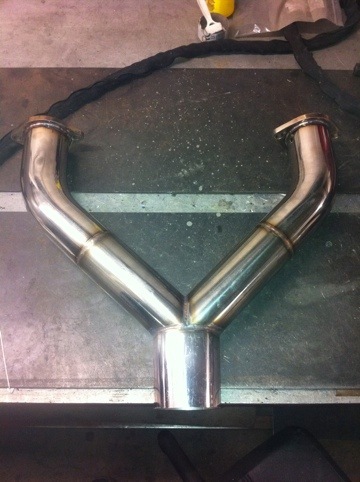 Then after the cutout I reduced it back down to 3″ to mate up with the high flow cat and the rest of the exhaust. ~ by B. Rogers on May 6, 2012. The Cutout isn’t going to mess with the fuel burning or power of the car due to backpressure blah blah blah. 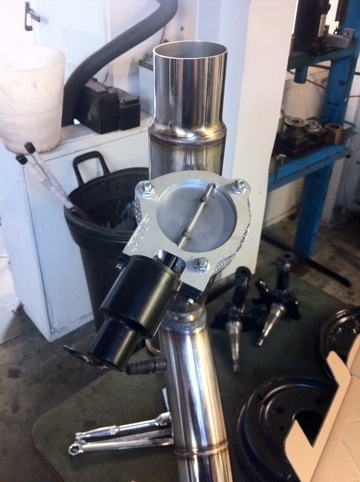 No it shouldn’t make a difference but it will be easy enough to make sure on the dyno.